Description: Bert Davies Collection. 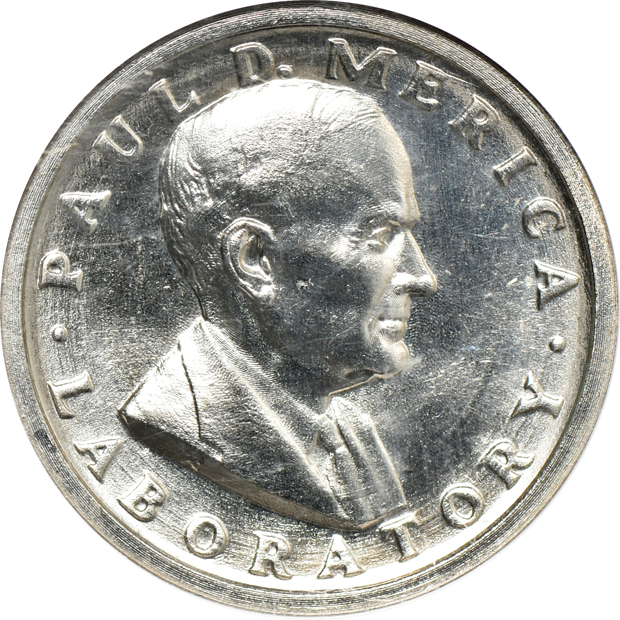 Obv: PAUL D. MERICA LABORATORY; rev: INTERNATIONAL NICKEL COMPANY INC. DEDICATED 1964 surrounding Inco buildings; plain edge. 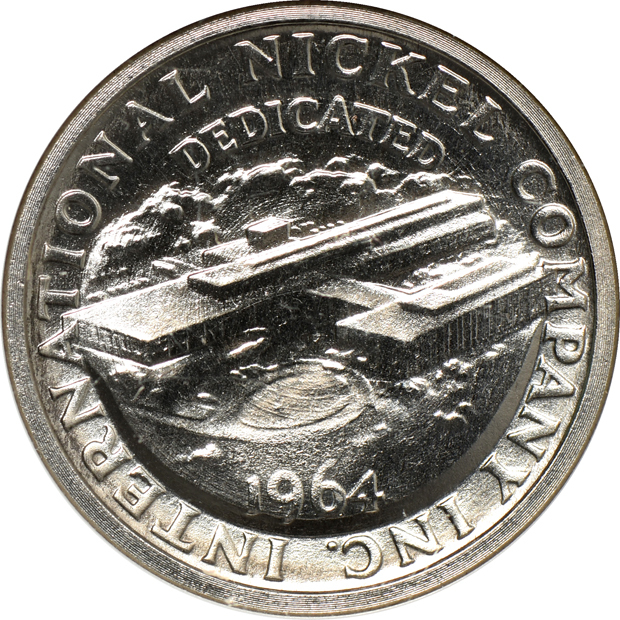 The metallic composition is comprised of the intriguing alloy of 95% nickel and 5% silicon on a permalloy core. The consignor believes this to be the finest known example, but this is open to debate since very few have ever been certified. These private patterns represent an effort to secure a Federal contract for a new alloy to substitute for the pending removal of silver from circulating coinage.